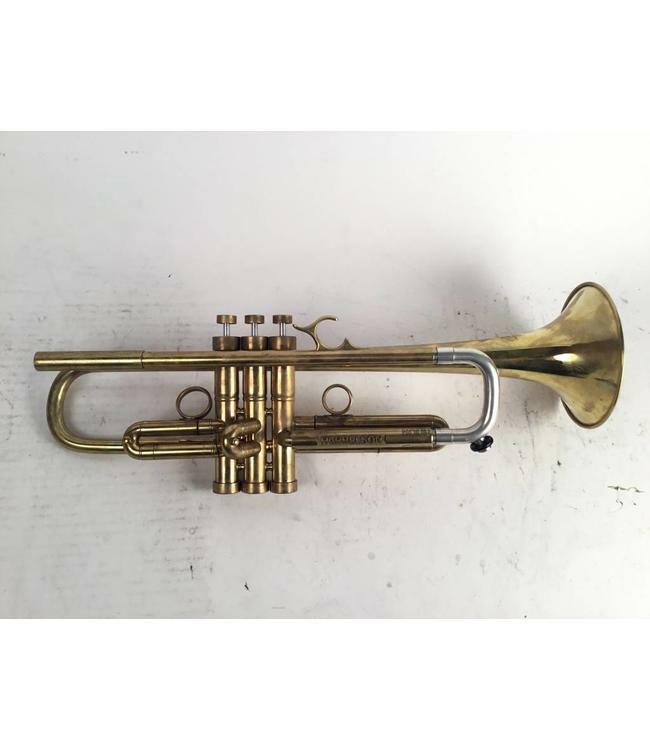 Used Harrelson (Hybrid) 909 Bravura Bb trumpet in raw brass. Harrelson 909 body with Calicchio 1S (Ultra) bell and unknown silver plated tuning slide. Excellent - demo condition and includes case.